1. וָאֶתְחַנַּן אֶל ה’ בָּעֵת הַהִוא לֵאמֹר. אֲדֹנָ”י יֱהֹוִ”ה אַתָּה הַחִלּוֹתָ לְהַרְאוֹת אֶת עַבְדְּךָ וְגוֹ’. רַבִּי יוֹסֵי פָּתַח, (ישעיה לח) וַיַּסֵּב חִזְקִיָּהוּ פָּנָיו אֶל הַקִּיר וַיִּתְפַּלֵּל אֶל ה’. בֹּא וּרְאֵה כַּמָּה הוּא הַכֹּחַ הֶחָזָק שֶׁל הַתּוֹרָה וְכַמָּה הוּא עֶלְיוֹן עַל הַכֹּל, שֶׁכָּל מִי שֶׁמִּשְׁתַּדֵּל בַּתּוֹרָה, לֹא פוֹחֵד מֵעֶלְיוֹנִים וְתַחְתּוֹנִים, וְלֹא פוֹחֵד מִמִּקְרִים רָעִים שֶׁל הָעוֹלָם, מִשּׁוּם שֶׁהוּא אָחוּז בְּעֵץ הַחַיִּים וְאוֹכֵל מִמֶּנּוּ בְּכָל יוֹם. 2. שֶׁהֲרֵי הַתּוֹרָה מְלַמֶּדֶת אֶת הָאָדָם לָלֶכֶת בְּדֶרֶךְ אֱמֶת, מְלַמֶּדֶת אוֹתוֹ עֵצָה אֵיךְ יָשׁוּב לִפְנֵי רִבּוֹנוֹ (לְבַטֵּל לְאוֹתָהּ הַגְּזֵרָה), וַאֲפִלּוּ שֶׁתִּגָּזֵר עָלָיו מִיתָה – הַכֹּל יִתְבַּטֵּל וְיִסְתַּלֵּק מִמֶּנּוּ וְלֹא יִשְׁרֶה עָלָיו. (עֵצָה שֶׁל אָדָם בָּעוֹלָם הַזֶּה) וְעַל כֵּן צָרִיךְ לְהִשְׁתַּדֵּל בַּתּוֹרָה יוֹמָם וָלַיְלָה וְלֹא יָזוּז מִמֶּנָּה, זֶהוּ שֶׁכָּתוּב (יהושע א) וְהָגִיתָ בּוֹ יוֹמָם וָלַיְלָה. וְאִם מֵזִיז מִמֶּנּוּ אֶת הַתּוֹרָה אוֹ נִפְרָד מִמֶּנָּה, כְּאִלּוּ נִפְרָד מִן הַחַיִּים. Moshe starts by saying the names of God “אֲדֹנָי יְהוִה”. The first one ‘אֲדֹנָי’ is of the level of Malchut, and the second is the supernal that in a concealed level. Moses wants to see the good mountain, which is the Temple Mount in Jerusalem and the Holy Temple that is mentioned here as “הַלְּבָנֹן”, a name that has the same numerical value as ‘קבלה’, ‘Kabbalah’. To describe the power of the prayers, the Zohar mentions the prayer of King Hezekiah. Sennacherib king of Assyria came with huge armies to Israel. Hezekiah tried to use peaceful solutions and sent money but the Assyrians kept coming. We see here the similarities in the prayer of Moses and the righteous King Hezekiah. They begin with acknowledging God and the connection between heaven and earth before expressing their wish. Rabbi Shimon also uses the same method but thats a topic of another study. Moses prayed 515 times, a number that represents the number of hours from Rosh Hashanah until the Hashanah Raba, the last day of Sukkot when all our tikkun processes for the year are sealed by the upper court. Moses wanted to enter the Promised Land and by that complete the Global Tikkun and establish permanent connection between the heavens, Light and earth, the vessel. God stopped Moses from continuing his prayers because the people were not ready for it. God did everything for Hezekiah and Israel. God killed the entire Assyrian army. It was not death by swords or any natural event like earthquake, flood or fire. The bodies remained complete but lifeless so everyone would know that the hand of God that protected the nation of Israel. One lesson from this study: Israel is now under attack from an enemy that doesn’t listen to reasons and wishes to destroy Israel before continuing their desire to dominate the world. The only solution is the understanding that only God can help in this situation and we should pray to him from the depth of our hearts and souls. The unity among the people of Israel is high at this time and we see many miracles. The entire world needs to be in unity to stop the evil from spreading around the world. The only tool I know at this time that allows people to connect to the heavens in unity is UnityZohar.com. 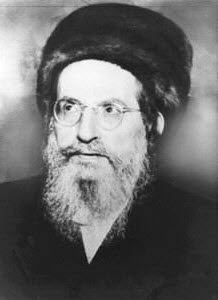 With the support of Rabbi Shimon we can make this connection and expedite the coming of Mashiach and the Final Redemption. More lessons about prayers in the following DZ studies. Join the continuous Zohar reading cycles at http://UnityZohar.com and invite your friends.